With summer just around the corner, I am constantly looking for recipes that incorporate all of summer’s fresh flavors without having to spend too much time in the kitchen. This pesto pasta is the perfect simple summer meal that can be made in fifteen minutes or less. 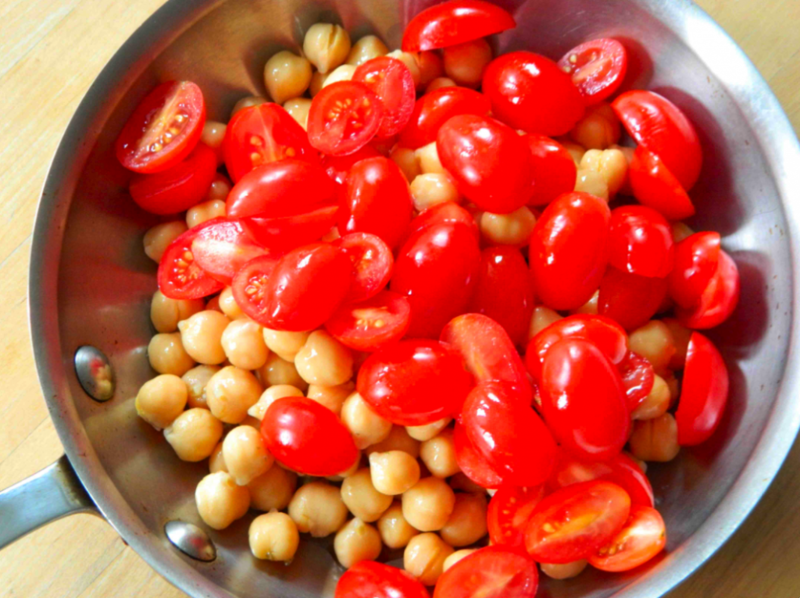 While I love to add spicy chickpeas and sweet cherry tomatoes to make it a heartier dish, you can add any summer veggies you have on hand, from roasted peppers to summer squash. For the ultimate flavor, use our easy pesto recipe, or save time with your favorite store-bought version. 2. Meanwhile, add chickpeas, tomatoes, a pinch of red pepper flakes and a tablespoon of olive oil in a sauté pan and heat over medium low until warmed through, about five minutes. 3. Drain pasta and place in large mixing bowl. 4. 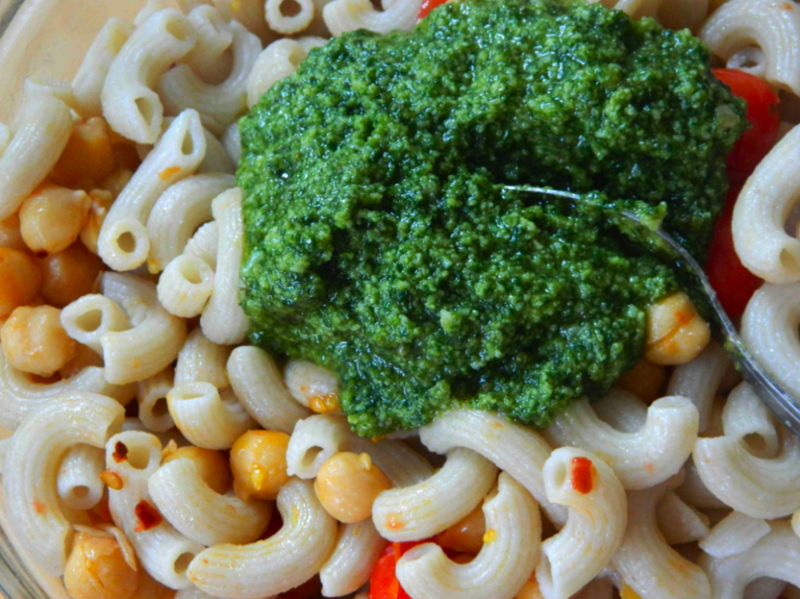 Pour chickpea mixture and 1 cup of pesto over pasta and mix until well combined.